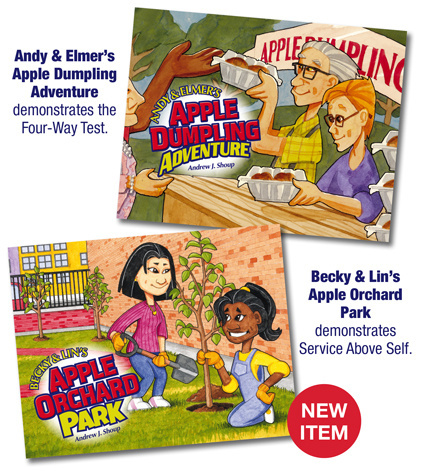 This program utilizes two children's stories to give your club the opportunity to share the ideals of The Four-Way Test and Service Above Self with the children in your community. It has been developed by the Rotary Club of Fairborn, Ohio and TokoBooks. Many Rotary clubs across the U.S., Canada and beyond have adopted it as an Annual Literacy Project. We hope you'll join us!